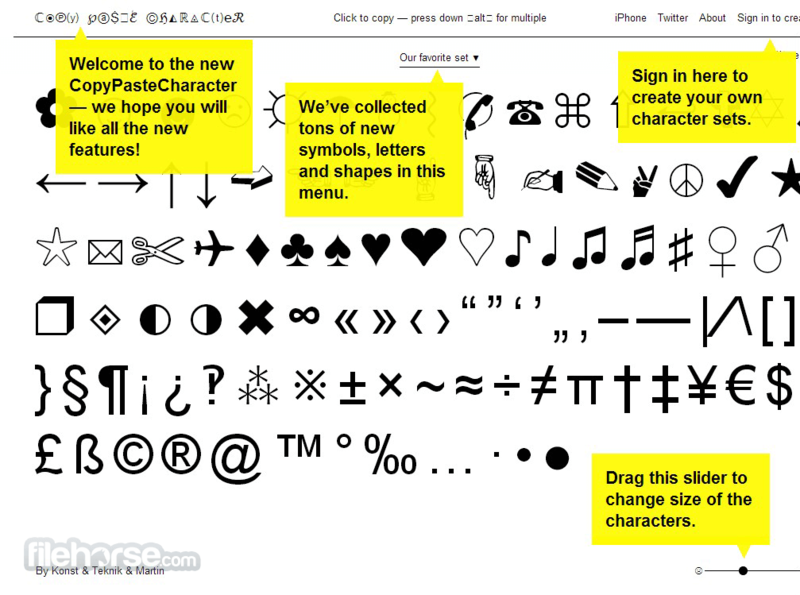 Copy Paste Character is an innovative and very popular website that offers its users instant access to thousands upon thousands of obscure symbols. 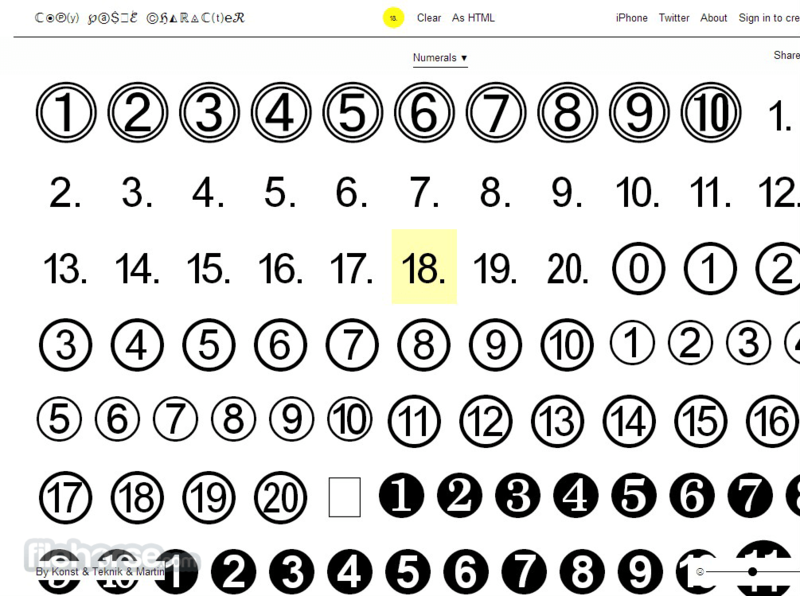 Interface of Copy Paste Character was specifically crated to be as easy as possible, with support of creating your own list, browsing most popular set of characters and easy way of copy/and pasting them. 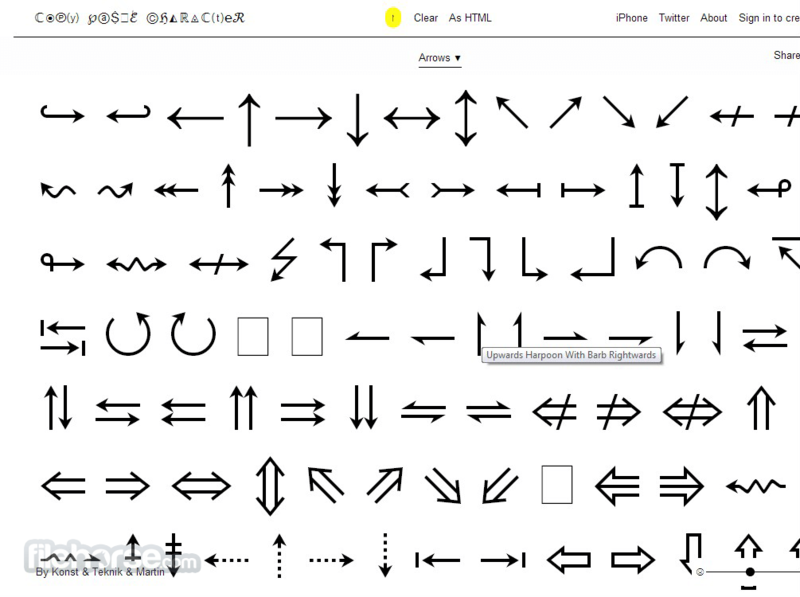 By focusing on wide support for all modern devices (PC and Mac browsers, iOS and Android portable devices), developers behind Copy Paste Character have managed to greatly improve our productivity and enable us to easily incorporate little or more obscure symbols into our everyday text work, e-mail messages, tweets and social network chats.